Brilliant Books for Dyslexic Children (The first of our new weekly blog series). It can be a challenge to find the right books for dyslexic children or adults, whose intellectual abilities and maturity will usually outpace reading ability. While we offer some general advice on dysbooks.com under different age bands and on different ways to read (including listening to audiobooks) we have always aimed to provide reviews for specific books for dyslexic readers. It’s just been difficult for us to find the best medium to share this content. We think that blogs are probably the best way to go with the resources we currently have. So, without further ado, Dysbooks presents our first selection of great books for dyslexic readers. 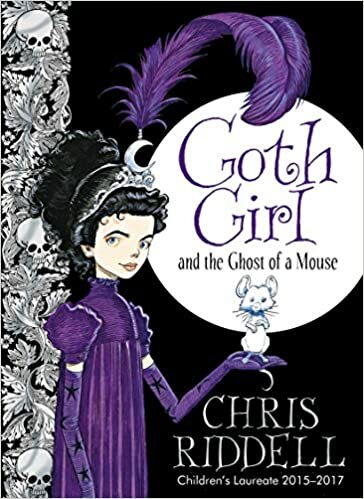 This week’s theme is Chris Riddell – an amazing illustrator and author. Lots of interesting, amusing, and detailed illustrations to break up the text. They also aid with understanding the stories. Larger font size and good spacing between lines or words. All these books are fairly slim with fewer words per page while still being content rich, so they are not too intimidating. There are short chapters to break books up into more manageable chunks. The physical versions are beautiful and exciting objects that encourage people to look at or through them. This is a book that will appeal to not only children but also adults. It is the incredible story of one dad’s quest to bring home milk for his family. On his journey Dad meets aliens, dinosaurs, vampires, volcano gods and even pirates. The story is told by Dad to his son and daughter, who are somewhat skeptical about some of the things he claims to have got up to. Would still appeal to older children and adults. A retelling of a combination of Sleeping Beauty and Snow White. There are lots of lots of twists on the original stories, magic and action. The female characters certainly do not let others decide their fates for them. There are darker elements but there is just enough sense of threat for excitement – similar to that found in most traditional fairy tales, so it should not upset more sensitive readers. Gentle humor helps keep the book charming. Victorian style gothic literature for children (including big ones). This is the story of Ada who lives in a huge mansion with her father. He believes children should be heard and not seen, so she wears noisy boots. These sort of amusing references to common sayings and other literature make it a brilliant book for older readers as well as younger ones. There are some darker elements but nothing too scary for young readers. This is the first in a series. 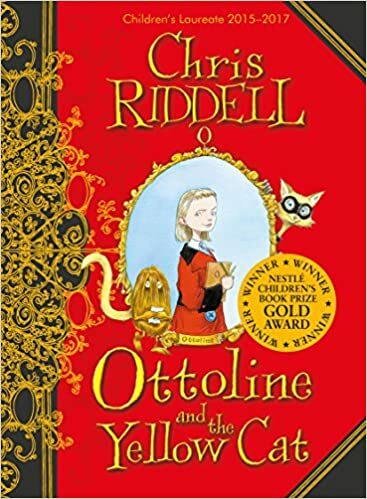 Ottoline is a little girl who like puzzles and investigating things with her best friend – Mr Munroe, including crimes. There is lots of mystery and action. This is the first in a series detailing Ottoline’s many adventures, including her first day at a very unusual school and under the ocean. Check out our next children’s book blog on Wednesday or join us on Friday for reviews of great books for dyslexic writers. For decades Dyslexia Action (also known as the Dyslexia Institute) was one of the largest UK dyslexia charities. The organisation provided dyslexia tuition services at specialist centres, dyslexia assessments, training courses and dyslexia specific products. It also hosted workshops and conferences. Dyslexia Action lobbied the UK government for more dyslexia provision and offered information for all those affected by dyslexia via the Dyslexia Action website. Dyslexia Action is sadly now in administration, leaving the tutors and assessors without employment. Some of them have come together on social media platforms such as Facebook so they can continue to offer their services to those who most need them (searching for Dyslexia Action on these platforms should bring these groups up). The training and dyslexia products side of the business are running as usual and have been bought by Real Group Ltd. They specialise in providing SEN related training services to educational institutions. It is not yet clear what went wrong at Dyslexia Action, some former employees report their individual centres were profitable. It was not something they or most of the dyslexia community were expecting, but difficulties with acquiring donations has been highlighted as a possible contributing factor. The BDA (British Dyslexia Association) has released a statement wishing former Dyslexia Action employees well and offering reassurance about the BDA’s financial situation. The BDA can offer support with finding dyslexia tutors or assessors, as can PATOSS. The loss of Dyslexia Action, at least in the form of possibly the largest dyslexia service provider in the UK, is a huge shake up for the dyslexia community. It certainly does not seem like good news for those who care about dyslexic people gaining further support and recognition within society. Dyslexia Action did many wonderful things and should surely be mourned. However, Dyslexia Action going into administration is not the only change for the community. These are both new organisations that are dyslexic led and championed by famous dyslexics. Made by Dyslexia is prominently backed by dyslexic businessman Richard Branson. NUword has award winning dyslexic writer Sally Gardner as a key supporter. Both organisations come at dyslexia not just from a position of wanting to increase support and understanding for dyslexics of all ages, but with a desire to rebrand dyslexia as about more than a weakness or disability that needs support, while recognising this aspect. Made by Dyslexia had a launch campaign that included a pop up sperm bank for dyslexics. This was inspired by a news reports that a dyslexic man was prevented from donating sperm because the UK’s largest sperm bank had decided that dyslexics had a genetic disorder. After the negative publicity the clinic quickly changed its guidelines, but Made by Dyslexia flipped the situation to confront ordinary people with the many brilliant dyslexics who have enriched our world. The organisation asks why people still see dyslexia as something purely negative when so many dyslexics have achieved so much. The difference in emphasis between the Made by Dyslexia footage and Dyslexia Action’s at the top of the page, is striking, as is the difference in the number of times they have both been viewed (currently hundreds vs thousands). Dyslexia Action mainly supported children with dyslexic difficulties and their parents. Attempts were made to put more emphasis on adults towards the later days of the organisation and dyslexic Charlie Boorman was made president, but unfortunately they were not able to balance the focus between child and adult provision – nor did they fully switch to a more dyslexia positive focus, they mainly campaigned based around weakness. The loss of this version of Dyslexia Action, then, is perhaps something that can be better understood when looked at alongside the continuing rise of new dyslexia positive organisations which are led by dyslexic people themselves, offering activism for all those affected by dyslexia instead of focusing mainly on children’s literacy support. This dyslexia positive attitude is possibly more appealing to a key demographic of potential fundraisers – dyslexics; including those who have been especially financially successful. Though obviously this will not have been the only factor involved, these new organisations do provide hope for the future at a much needed moment in time. More information about Made by Dyslexia and the organisation’s goals can be found here. NUword can be found here, they are attempting to acquire charitable status and welcome donations. Hello, and welcome to Dysbooks. We have existed since 2010 but this is our new and much improved website. We have done our best to make it easier to navigate and use, with less visual clutter. Not only have we improved the look of the website we have improved our content and found even more useful resources for our users. Our blog posts are going to be shorter and more frequent. They will include reviews of books in a range of formats, interviews, event information, publishing careers support and writing advice. While we enjoy collaborations and have taken part in these in the past currently we are mainly focused on putting out our own content. Examples of past collaborations include audiobook reviews for The Codpast and the anthology Everything is Spherical published by RASP (Rebelling Against Spelling Press).